At Zion people of all ages are incorporated into the life of faith through participation in the church. 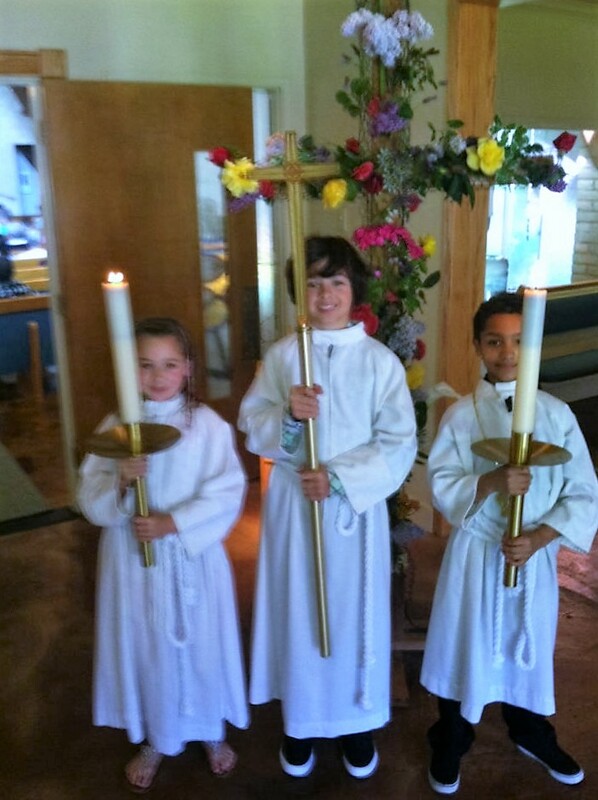 Because we believe faith is communal, children and youth join their parents in the pews. Our Sunday mornings include a special “children’s sermon” where the pastor invites children and youth to the front of the church for a lesson geared specifically for them. A cry room with speakers and full view of the sanctuary is available for parents with infants and as children enter the sanctuary, they’ll find a well stocked cart with books and activities for them to enjoy. Through our acolyte program children and youth serve as assistants during the worship service. Beyond Sunday mornings, we have three outreach ministries for the younger members of our Stockton community.